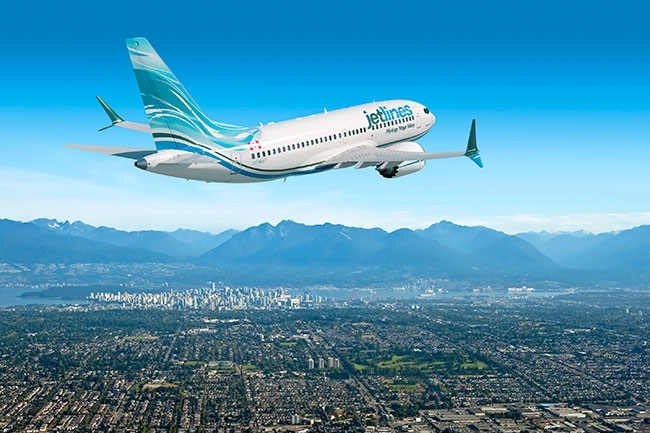 Glidepath: Will ULCC brands fly in Canada? The New Year promises to be an interesting one for Canadian airlines. The two majors, WestJet and Air Canada, are coming off successful years, with high load factors and happy shareholders. It was such a good year in 2014, in fact, that at least two different groups (Canada Jetlines and Jet Naked) announced they are on the hunt for the capitol required to provide Canadians with the option of an ultra-low cost carrier (ULCC) flight experience, staking out the bottom of the market. I would have thought, however, that the “ultra-low cost” crowd had already been hovered across the border by the lure of dirt-cheap flights on antique aircraft. It’s not a simple process for those of you who recall the Air Canada/Canadian shotgun marriage. At the 2014 Aircraft Interiors Expo in Seattle, Mark Krolick, managing director of United Airlines’ Marketing and Product Development division, talked about the challenges in melding United and Continental into one airline and creating a common brand image out of that amalgamation. It’s not a simple process for those of you who recall the Air Canada/Canadian shotgun marriage. Krolick spoke about the importance of understanding who his company’s potential customers are and building its brand and marketing programs around this perspective. He used examples of Starbucks and Dunkin’ Donuts to illustrate that if you are marketing yourself to the wrong crowd, it’s just not going to happen. United (and the other U.S. airlines) are marketing themselves as two class entities, economy and business-class. Except for a small number of routes, the premium first class base is just too small and they aren’t going after it. Around the world, first class is becoming an endangered species, with most airlines relying on business and economy. Brand loyalty is certainly an interesting concept. It’s all about creating an image that consumers can identify with and more importantly, want to be identified with. Understanding customer values isn’t a simple process, because the reality is that many of us aren’t too sure what we really like or even why we like it. I had my introduction to marketing more than 40 years ago just after my first brush with higher education (criminology if you’re keeping score). A friend and I spent one or two evenings a week over the summer helping his mother run marketing surveys on the subject of beer. Her company had been retained by one of the national brewers to conduct surveys aimed at a specific demographic – males in their early 20s. A group of suitable subjects were assembled in a meeting room and asked to sample four different bottles of beer and rate each on a scorecard, with no hint as to which company was conducting the survey. The samples had no labels or other identifiers other than a number. Three of the samples were the same beer (but from breweries in three different cities) from the sponsor and the fourth sample was from their main competitor, as a control. My friend and I had the job of disseminating and collecting the samples and the score sheets, straightening up the room afterwards and disposing of the unused beer at the end of the session (nobody said it was going to be easy!). The first thing our test subjects were asked to do was to write the name of their favourite beer at the top of their scorecard before the tasting began and about two-thirds would write down the sponsor’s product. The fun part occurred when we tallied up the scores at the end of the session and, without fail, the “winner” in every session was the competitor’s product. So, what happened after that? We didn’t tell the tasters that most of them were drinking the “wrong” beer and I’ve no idea what happened at head office when they got the news. As of January 2015, the same two beers are still on the shelves across the country, first and second in sales nationally, just as they were back in the summer of 1974. What does this have to do with the airline business? If you’re still drinking the same beer you were in 1974, you’re paying almost seven times what you were for a dozen back then. Equate that to flying, and a Vancouver-Toronto route is about two-and-a-half times the price what it was back then. Today, microbreweries are taking on the factory breweries and having a significant impact on the market, not by offering cheaper products, but by offering a wider range of products that can appeal to market segments the factory breweries can’t hope to reach. And while microbreweries have a strong future, I can’t help but think that trying to start an ultra-cheap airline in Canada will leave someone crying in their beer.